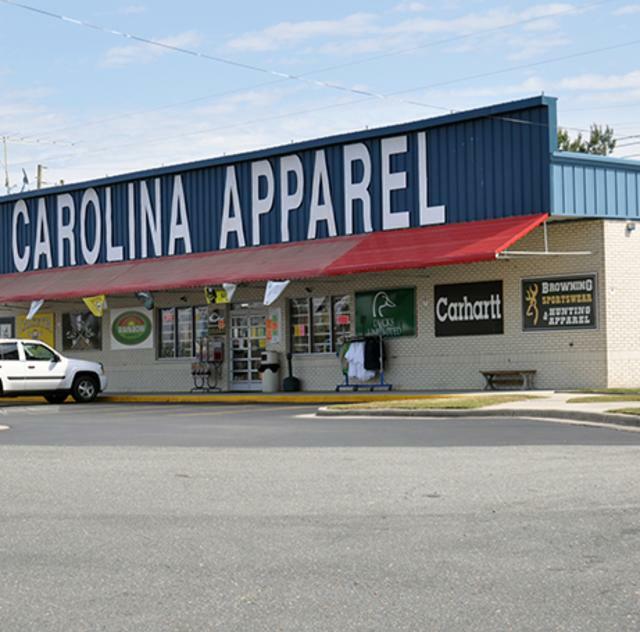 Carolina Apparel is a 3rd Generation, Family Owned, Clothing Store that has been in business since 1902. We are the oldest clothing store in our town and county and one of North Carolinas oldest stores still run by the same family. We do business in a fair, respectable, old fashion way. We answer our telephones with a real person that can help you on the spot. Carolina Apparel is the place to be for Carhartt bulk sales. We have special sales all the time on all Carhartt jackets, jeans,pants, workwear, Carhartt High Visibility Work Wear. We also have flame resistant clothing and welders clothing. The more you buy the less it cost for Carhartt clothing. For 120 years, Carhartt has created and manufactured premium work clothing known for exceptional durability quality of construction, and fit that you can feel in the fabrics and see in the performance. We also have great sweaters, shirts and headbands from brands like Carhartt that will be perfect for both workers and hunters looking for extra safety. Stay safe and stay seen with any of the great high visibility products we stock here at Carolina Apparel.